In recent seasons, the Met has sold $25 rush tickets for weekday performances beginning two hours before the curtain. Long before that, a line forms in the parking garage below the theater. This season, the company is switching to an internet lottery system—a system already in place for performances on Friday and Saturday. This is, in my opinion, a good choice. The line required an investment of time which many people—e.g. those with jobs—are not able to make. Generally, you had to devote a good portion of the afternoon to sitting in line. The line is, or rather was, primarily populated by local retirees, tourists, and some students. (There are, however, already independent discount programs both for seniors and for students.) As a grad student, I was able to wait in line occasionally. Since each person in line was able to buy two tickets, I always gave the other ticket to a friend with a more regular job. The new policy allows a much broader group of people to access these tickets. 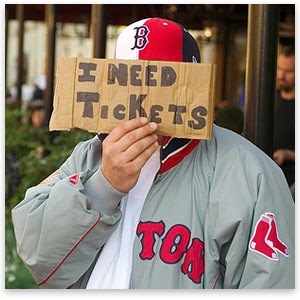 But for major opera fans, this is not necessarily a more equitable solution: the line allows the most dedicated fans to always get tickets while more casual fans might only occasionally commit to waiting or only be able to nab tickets to unpopular performances (when the line forms later in the day), while a lottery eliminates commitment and leaves things to pure luck. I’m not sure if it’s fair to judge one’s dedication to opera by the ability to take time off from work, particularly in light of the state of American labor laws, but that’s the argument. The new policy is also less suitable for tourists, who may not have the chance to win a lottery when they’re only in town for a few days. (Personally, if I were only visiting New York, I wouldn’t want to spend a whole afternoon in a parking garage, but that’s me.) Also, if you lack internet, the public library located next to the Met does not require a library card to use a computer. But while the most dedicated operagoers may not find this policy change to be entirely an improvement, I don’t think that they’re the sole group for whom rush tickets are intended, and arguably not even the primary one. Opera is often seen by the uninitiated as inaccessibly expensive and difficult, and rush tickets make things affordable and (in the new incarnation) easy. The truly committed are going to find a way to go to the opera no matter what. This policy change vastly improves the situation for a far larger group of vaguely interested people who are not able to or inclined to spend their afternoon sitting on a stone floor in a dimly lit tunnel. The Met needs to expand its local audience base, and this is a step towards doing that. Finally, the rush ticket policy is only a relatively recent innovation at the Met–it began early in the Gelb era, I believe in 2006 or 2007–so they aren’t making a major historical change here. If you really want to queue, there’s still a line for standing room tickets. Every single morning.